Shaft Height: Approx. 12'' Tall. Heel Height: Approx. 1 1/2'' Tall. Workin' Rebel by Durango Western Boots have all the lightweight comfort you love in Rebels. These men's 12-inch boots are full-grain leather. The TPE midsole is oil-resistant. The Workin' rubber outsole is lightweight, a quality Goodyear welt with a double-row stitch helps the boots last for years to come. 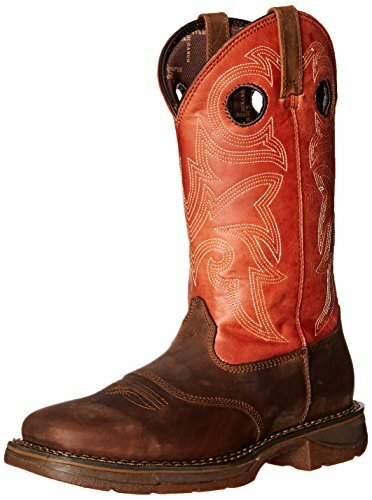 These men's western boots have a 1 1/2-inch rocker heel and a square toe. If you have any questions about this product by Durango, contact us by completing and submitting the form below. If you are looking for a specif part number, please include it with your message.